Now that it’s over, you’d admit the NBA’s trade deadline was just a flirtation, a carrot at the end of its stick that got everyone, including Kevin Durant, needlessly overheated. Now everyone is out of breath after chasing the big news that never arrived. Raise your hand if you thought the New Orleans Pelicans were going to trade Anthony Davis. Half of you did, the other half didn’t. And if we’re being honest, the Pelicans knew all along it made no sense to over-react and be pressured to deal before it had the chance to fully evaluate their options. Perhaps the Los Angeles Lakers will still get him. But maybe the New York Knicks, Boston Celtics, Milwaukee Bucks or Los Angeles Clippers might, too. But now its certain the Pelicans will wait at least until the NBA Draft Lottery on May 14, at which point they’ll know precisely what they will receive should a high pick be among the things they want in return. So now the season continues and the Pelicans and Davis will have to figure out how to coexist before the inevitable occurs. And that promises to be nothing sort of messy. 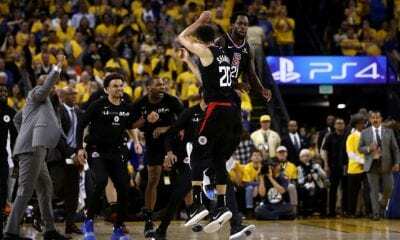 If they had landed Davis, even if it cost them half their team in return, the Lakers would have become the most interesting team in the league – unless the rise of Denver and Milwaukee better floats your boat. And if they still want Davis, they may no longer be considered the front runner because so much else in the league will be different. 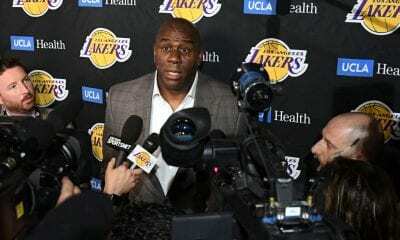 Here is something else to consider, perhaps something team president Magic Johnson may have taken for granted. It’s quite possible Davis might be the only top-flight 2019 free agent who actually wants to play with Lebron James. 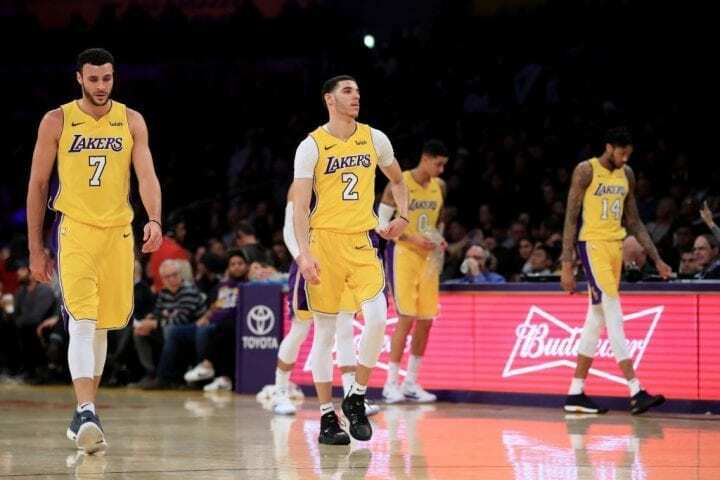 What’s more, the Lakers are left with a slew of young players who must obviously feel The King doesn’t think they’re capable of performing at a championship level. The New York Knicks stink and may end up with the worst record in the league. But they aren’t stupid. Think how long it’s been since you could say that about them. They have two very important things going for them. 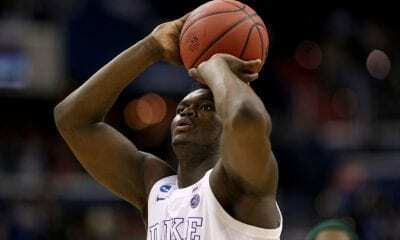 They will likely have the best chance of landing the first or second overall pick in the draft, which means they’ll get one of Duke’s great young stars, R.J. Barrett or Zion Williamson. And by trading Kristaps Porzingis and Tim Hardaway, Jr., to Dallas, they will soon be able clear the millions they’ll need to compete for Kevin Durant and Kyrie Irving, let alone sign Davis to an extension if they can swing a deal for him. Aside from the Bucks, the Philadelphia 76ers might be the most exciting team in the East and general manager Elton Brand, the former Duke man, has been working hard to improve his brand. He picked up Jimmy Butler early in the season and aligned him with Joel Embiid and Ben Simmons. And now he’s acquired Tobias Harris, ridding himself of the enigmatic and often-injured Markelle Fultz, the No. 1 overall pick in 2017. Brand moved him to Orlando for Jonathan Simmons an a protected first- and second-round pick for a kid who played only 33 games in Philly. 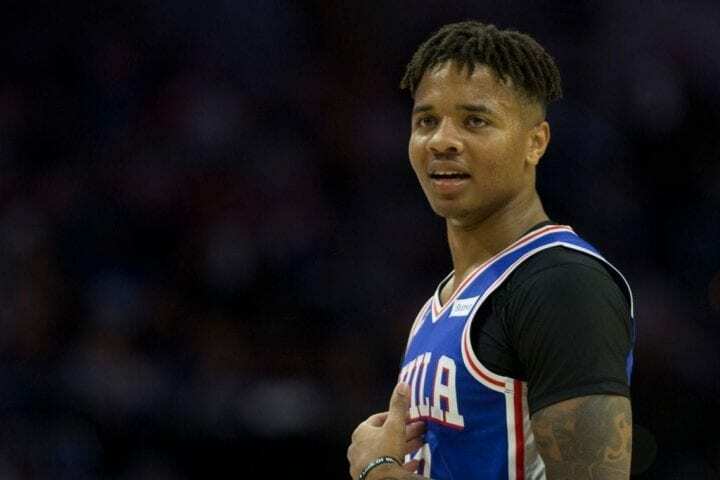 To get Harris, plus Boban Marjanovic and Mike Scott, the Sixers had to give up Wilson Chandler, Mike Muscala, Landry Shamet and a ton of draft picks – including its No. 1 in 2020. Then you have Washington dealing Otto Porter to Chicago and Markieff Morris to the Pelicans to save cash after finding out John Wall will be out for at least a year with an Achilles injury. Toronto certainly improved by getting Marc Gasol from Memphis to boost its post and make Kawhi Leonard happy. But the Bucks held serve by completing a complicated three-team deal with Detroit and New Orleans that brings another great shooter, Nikola Mirotic, to Milwaukee to hang with the Greek Freak, Giannis Antetokounmpo. “Those top teams in the East, yeah, they’re going for it,” James said. “Toronto is going for it, Milwaukee’s going for it, Philly. Boston believes they can do it, too. They know they ain’t gotta go through Cleveland anymore.